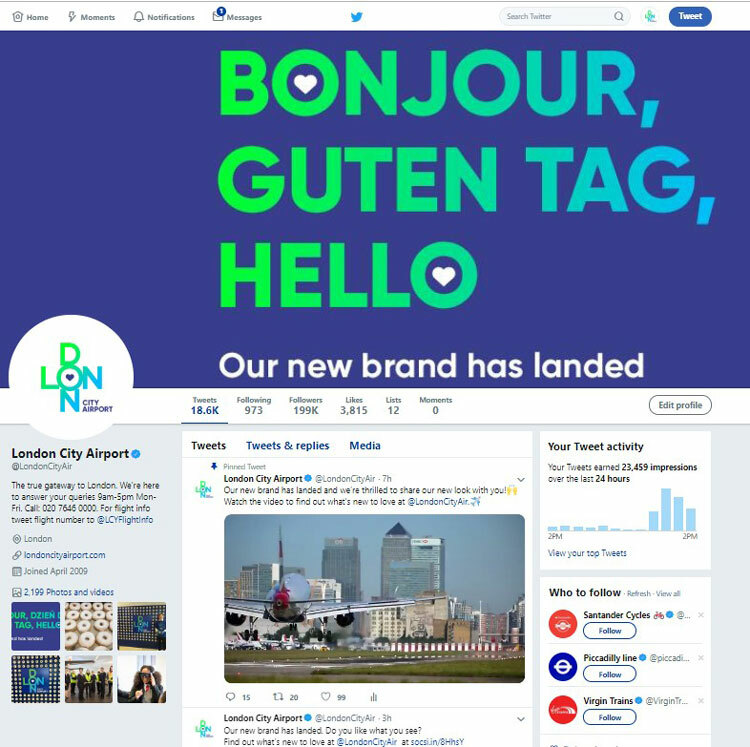 London City Airport has unveiled a “vibrant” new visual identity, which aims to appeal to a broader range of passengers and reinforce its position as an airport in the centre of London. The rebrand comes as the demographics of those flying from City are changing. Traditionally geared towards business travellers, the airport says that between June and September last year, the proportion of those travelling for leisure exceeded those travelling for business for the first time ever, at a ratio of 52% to 48%. The new look coincides with a £500 million four-year airport development programme, which includes new terminal facilities and aims to create space for more passengers and more flights from the airport. The Allotment has given the airport a “contemporary” new brand identity, the studio’s managing director, Paul Middlebrook, says. 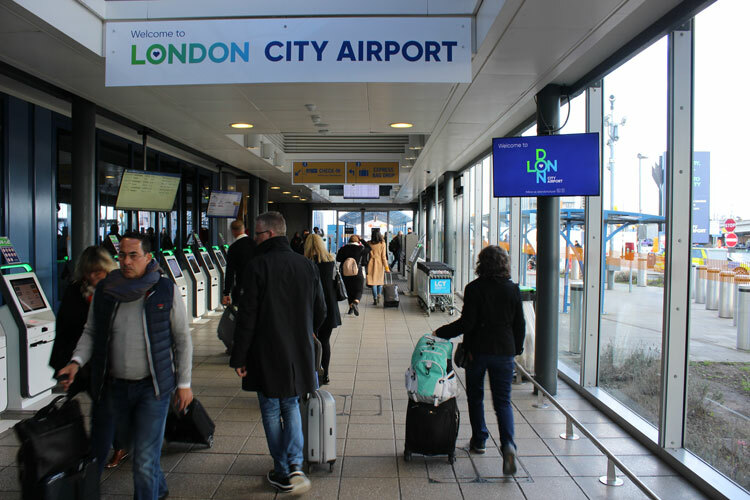 “The main aim of the rebrand is to reinforce London City Airport’s role as London’s most central airport,” says Middlebrook. The new logo spells out the word “London”, with only one letter “O”, which has a heart shape in the centre of it. The letters are arranged in a plus sign shape, with “O” in the middle, “L” and “N” on the left and right, and “D” and “N” above and below. It is coloured with a green and blue gradient, which changes diagonally from the top-left to the bottom-right corner. The words “city airport” appear on the bottom-right side of the main logo, set in all-capitals. The typeface used in the logo is an adapted version of Gilroy, a sans-serif type, modified by The Allotment. Gilroy has also been used as the core brand typeface as it is “clear” and “familiar”, Middlebrook says. The logo appears in a range of different formats — in some variations the heart and the words “city airport” appear in blue, and in others they are white. The “vivid” colour palette aims to reflect elements found in the city, according to the airport, including bright green to reflect London’s parks, and blue to reference the River Thames, which the airport is located near to. “London City Airport was built on the docks — it is very much connected to the Thames and to London itself,” Middlebrook says. “East London is a very vibrant community now, it is one of the fastest growing areas in London and there is real buzz about it. We wanted to create an identity that reflects that dynamism,” he adds. As well as aiming to broaden the appeal to more leisure travellers, Middlebrook hopes business travellers will also “appreciate the modern and dynamic nature” of the new brand identity. 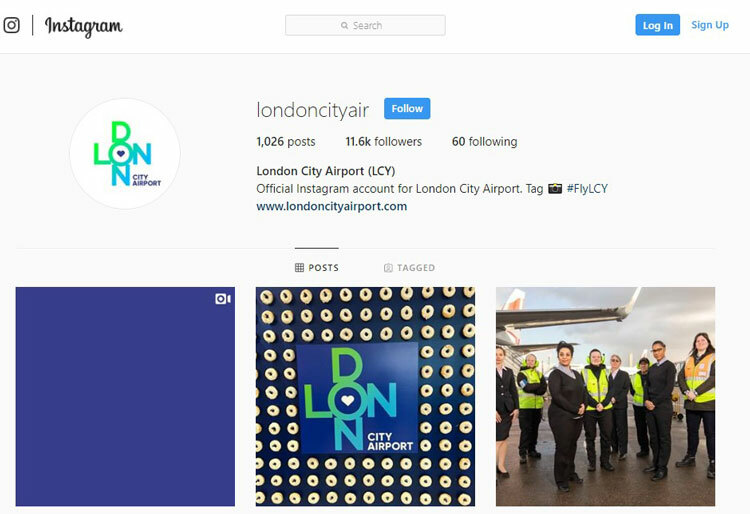 It replaces an identity which said the words “London City Airport” in grey and blue, accompanied by a small blue image of an aeroplane. As well as creating brand guidelines, The Allotment has also devised a new tone of voice for the airport, which aims to be “warm, caring, open and straightforward”, Middlebrook adds. The studio worked alongside business consultancy The Storytellers, which defined the airport’s future vision and brand values. A promotional film has been designed to launch the new branding by design studio Intercity, which includes footage of scenes from around London with the white heart-shaped icon appearing to “beat” in the centre of the video. The clip also features an animated line drawing of landmarks on London’s skyline, including Big Ben and St Paul’s cathedral. Design studio Intercity, has also created branded signage for the airport. The airport’s website has been updated with the new look by consultancy Bright Innovation. The new branding has been rolled out across digital touchpoints including social media and the website and will gradually be rolled out across airport signage and other physical touchpoints over coming months. 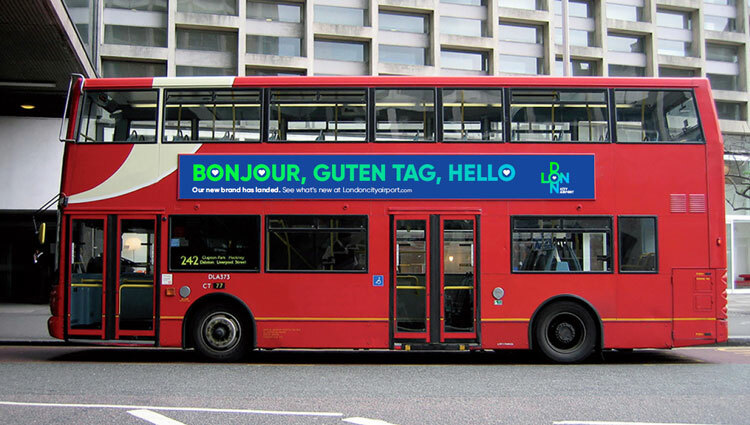 An outdoor advertising campaign created by design studio Cravens has also been launched to introduce the new look around London and on the airport site. 9 Key Logo Design Trends of 2019 Spring statement 2019: how does it impact designers?